Hello, I am 14 years old Handler Martyna Paliulytė. I am studying in Junior Handling school, on this year I will be studying in Cynology school. I am working with dog very long time- about 6-7 years (in my age, it is very much). I have 2 dogs- black Zwergschnauzer Abiding Attila Of Maženis (in home Atilas) and Russian borzoi Nagradka Laukų Viesulas (in home Gara). on this forum to you and your 2 dogs ! In this so special forum !! Best wishes from " Frostmourne Kennel " Italy !! 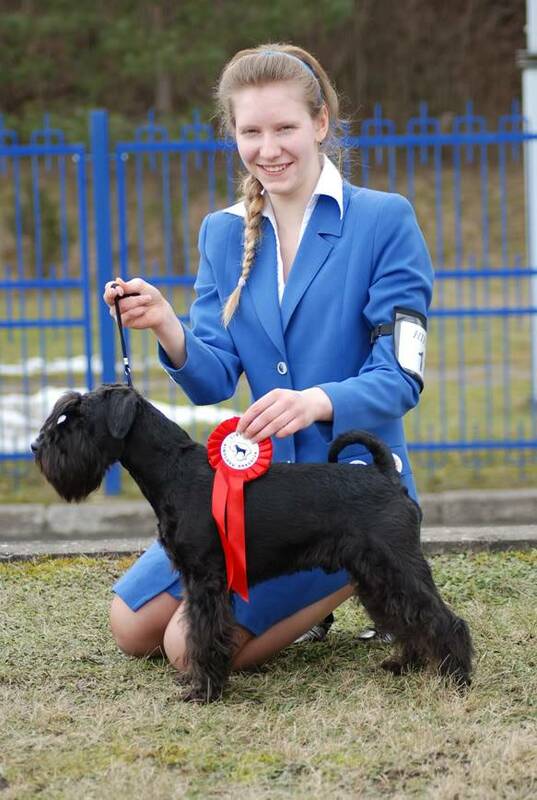 Hello, I am 14 years old Handler Martyna Paliulytė. I am studying in Junior Handling school, on this year I will be studying in Cynology school. Hmm, I didn't know that you in Lithuania have something like this Can you give more information? In Lithuania is Extramular Cynology school, which is organized by Lithuanian Association of naturalists. That school is two-year course. In that school will be lectures about dog breeds, about diseases, about training, about dog shows and lot more. There will be practise exercizes- about parazitology, bacteriology. There will be educational visits to kennels, training lots, dog shows and etc. You can fin more info in this webpage: http://www.gamtininkai.lt/Kinologu_Sch.html (but there is everything in Lithuanian). But I can translate program of this school, waith a minute. 5. History of cynology. Lithuanian Cynological Society, clubs. 8. General overwiew of the dog‘s body structure. 9. Family, Sporting, working dogs. Dog behavior: gained and insight. Training stages: learning, adjustment to the stimulation, the repetition. 15. Dog infectious diseases and non-communicable diseases. 18. Care of dogs in various stage of life. I didn't know that you have something like this. We have only one year studdies in our Latvian Cinology federation, but the themes are very similar. And also, ten best students will be assitents in dog shows- then they can examination for the certificate. Sounds like a very interesting course. Is it run by your countrys kennel club? No, it is run by our country's Naturalists association. Jo wrote: Sounds like a very interesting course. Is it run by your countrys kennel club? I want to ask you; do you think you will be to the World Dog Show Bratislava 2009 ? We, too, probably will be to the WDS, I hope, we will meet there ! Oh, that would be amazing We are not registrated yet, but we will do it before 06-30.
your photos are very nice and the funny photos are great! This school is very interesting! I wish you great success in the future too! Nagradka Lauku Viesulas (Gara) - N, LT CAC, BOB, BIG-1!!! Junior Handling competition- 1st place with my Attila!! !